You’ve made the decision to learn to code, and now you’re looking for the best tools of the trade. So you ask Google – what is the best code editor (aka the program you use to write code)? The search results are overwhelming and confusing. A “10 best code editor” lists tells conflicting stories of a landscape overflowing with options. Some coders proclaim their command-line tool as the One True Code Editor and write off anything with a GUI (Graphical User Interface) as a toy for children. Others sing the praises of a yet-to-be-released cloud-based IDE (Integrated Development Environment), barely in its alpha preview stage. The only thing missing is a clear answer stating, “This is the editor you want!”. I get this question all the time, and I understand why people are confused, because even after 15 years in the industry I still have the same question. I also know it’s impossible to answer because it’s the wrong question to ask. There is no universal “best code editor”. The best code editor is the one that works for you. Code editor choice may seem like a defining trait of a coder, and at any moment most coders will have an absolute preference. But dig deeper and you’ll find that dedication is far less resolute than it appears. Take myself as an example. Right now my editors of choice are Atom for small edits and hand-coding, and NetBeans for bigger things like WordPress theme and plugin development. But it wasn’t always that way. The first time I wrote code for the web, back in the late 1990s, I used Emacs in the command line on a Unix system. Some years later I moved to Windows and Microsoft FrontPage, followed closely by Macromedia DreamWeaver. After a detour to Flash, Flex, and Air I returned to DreamWeaver (now Adobe) before adopting Microsoft Expression Web. When that application was put out to pasture by Microsoft, I migrated to open source IDEs, going from Eclipse to Aptana Studio and finally to NetBeans. These applications were fairly heavy, so I also added a lighter “pure” code editor going from Notepad++ to Brackets, before landing on Atom. Ask me in a year and there’s a good chance Visual Studio Code has replaced one or both of these. Or it’s possible some other solution has emerged that has tickled my fancy. There is really only one thing that matter when picking a code editor: does it help you do your job better and faster? This depends on your own coding style and work situation, the language you are coding in and the organization you work for. There is also an unwritten rule to keep in mind: there is always a better editor on the horizon. In other words, learn how to get the most out of your current editor, and learn to be flexible so you can switch when a new and better alternative presents itself. For me, this means trying new editors as they come along to see if they are a better fit. It can also mean using different editors for different jobs; it all depends. As a bonus, learning how to use a new application will make you think differently about your code and how you work with it. Even if you don’t end up using it, your understanding of your own work will improve. Mordy Golding uses Aqua Data Studio for SQL​. Sharon Bennett uses Atom for Chef. Walt Ritscher uses Visual Studio 2015 and 2017 for C#, XAML and ASP.NET, and Notepad++ for simple edits to any markup or code file. Peggy Fisher is our in-house polyglot beating both Ray and I for agnosticism with a list that includes NetBeans, Eclipse, IntelliJ, Notepad++, Sublime Text, Visual Studio and Brackets.io for Java, C++, C#, COBOL, SML, Scala, XML, HTML and Python. Mark Niemann-Ross uses Atom, Idle and Nano. For a standard code editor, pick Atom. It is becoming the pure code editor of choice for a variety of languages and is especially popular among web professionals pushing out Brackets. If you want to try something different, check out Visual Studio Code. This entry from Microsoft is rapidly accelerating in popularity. Your code editor is not a measure of your worth as a coder. There is always a better editor on the horizon. Be ready! 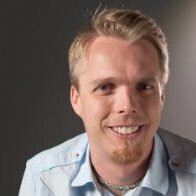 Morten Rand-Hendriksen is a web designer and developer who has taught more than 60 LinkedIn Learning courses. Check out all of his courses here.